Are you sure you want to remove English grammar from your list? Microform in English - Sterotyped, from the 24th English ed. Microform in English - Stereotyped, from the 25th English ed. Microform in English - Last edition. in English - A facsim. reproduction / with an introduction by Charlotte Downey. English grammar. : Adapted to the different classes of learners, with an appendix, containing rules and observations for assisting the more advanced students to write with perspicuity and accuracy. 1866, J.B. Lippincott & co.
Murray's Abridgement of English Grammar, improved: illustrated with copious explanatory notes; and interspersed with parsing exercises, sentences to be corrected, and questions for examination : To which is added an appendix, containing composition, punctuation, abbreviations, etc. 1860, Printed by Simms and McIntyre, Sold by Longman and Co., Simpkin and Co.
1860, J. B. Lippincott & co.
1859, J. Murphy & co.
Murray's Abridgement of English Grammar, improved: the text being revised, and illustrated with copious explanatory notes; Interspersed with parsing exercises, sentences to be corrected, and questions for examination: To which is added an appendix, containing composition, punctuation, capital letters, abbreviations, etc. in English - Stereotyped, from the 24th English ed. An English grammar: comprehending the principles and rules of the language, illustrated by appropriate exercises, and a key to the exercises / by Lindley Murray. 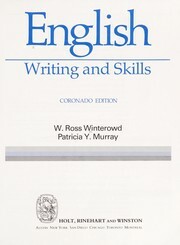 in English - 7th American, from the last English ed., cor. and much enlarged. An English grammar: comprehending the principles and rules of the language, illustrated by appropriate exercises, and a key to the exercises. 1832, Collins & co., etc. - The 6th American, from the last English ed. corrected and much enl. 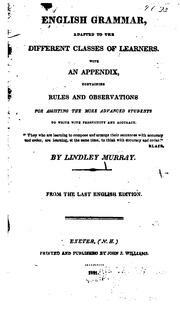 An abridgment of L. Murray's English grammar. in English - Seventh stereotype edition. English grammar: adapted to the different classes of learners: with an appendix; containing rules and observations for assisting the more advanced students to write with perspicuity and accuracy. 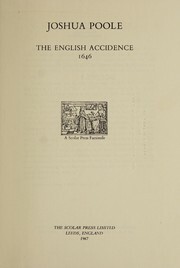 in English - Fifth stereotype edition. in English - Second stereotype edition. 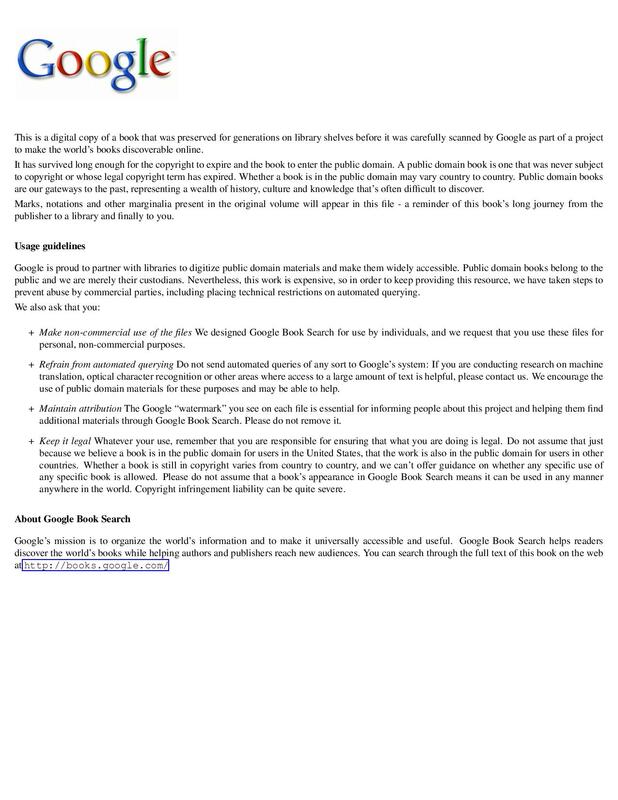 in English - 37th ed. in English - 15th Boston ed. - The 5th American / from the last English ed., corrected and much enl. - From the last English ed. 1819, Printed and sold by Collins and Co.
in English - 4th ed. improved. Microform in English - 4th American, from the last English ed., corr. and much impr. 1817, Printed and sold by Collins & Co.
- The 3d. American Ed. corrected, and much enl. Microform in English - 3rd American ed., corr. and much enl. 1816, Printed and sold by Collins and Co.
An English grammer: comprehending the principles and rules of the language, illustrated by appropriate exercises, anda key to the exercises. 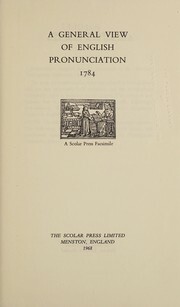 1815, Printed and sold by Collins and Co.
in English - 27th ed. 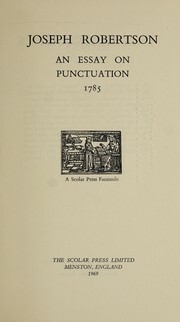 1814, Printed and sold by Collins and Co.
1813, Printed by John W. Browne and Co.
English grammar, adapted to the different classes of learners, with an appendix, containing rules and observations, for assisting the more advanced students to write with perspicuity and accuracy. in English - From the eighteenth English edition, enlarged and improved by the author. 1811, Printed by Isaac Sturtevant, for Isaiah Thomas, Jun. 1811, Printed and sold by Collins & Co.
- From the 18th English ed., enlarged and improved by the author. An English grammar: comprehending the principles and rules of the language, illustrated by appropriate exercises and a key to the exercises. - The 2nd ed., improved. 1808, Printed for C. & A. Conrad & Co.
in English - 1st Connecticut ed., with corrections and additions. 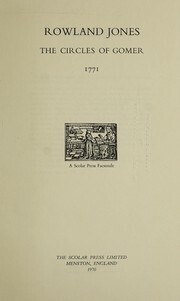 1805, From the press of Isaih Thomas, Jun. Microform in English - 1st Providence ed. - 6th ed., corr. and improved. An abridgment of L. Murray's English grammar: with an appendix, containing an exemplification of the parts of speech, and exercises in syntax. Designed for the use of the younger class of learners . An abridgment of L. Murray's English grammar. : With an appendix, containing an exemplification of the parts of speech, and exercises in syntax. Designed for the use of the younger class of learners. By Lindley Murray. English grammar: adapted to the different classes of learners. : With an appendix, containing rules and observations, for assisting the more advanced students to write with perspicuity and accuracy. 1800, Printed and sold by Isaac Collins, no. 189, Pearl-Street. Microform in English - The third edition, with improvements. 1799, Longman and Rees, etc., etc. 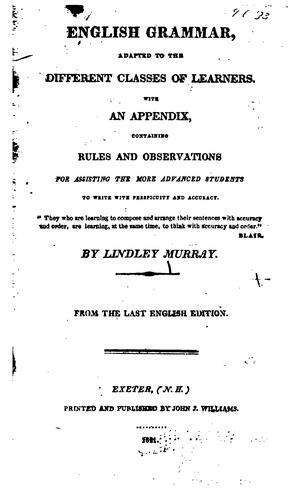 An abridgment of L. Murray's English grammar. : With an appendix, containing an exemplification of the parts of speech, and exercises in syntax. 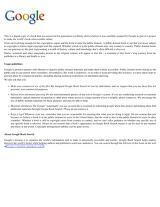 : Designed for the use of the younger class of learners. 1799, Printed for Joseph Nancrede. No. 49, Marlbro'-Street. English grammar: adapted to the different classes of learners. With an appendix, containing rules and observations, for assisting the more advanced students to write with perspicuity and accuracy. By Lindley Murray. Microform in English - The fifth edition, improved. 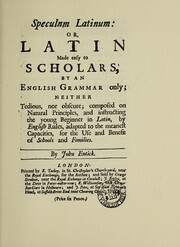 An abridgment of L. Murray's English grammar: With an appendix, containing an exemplification of the parts of speech, and exercises in syntax. Designed for the use of the younger class of learners. By Lindley Murray. Microform in English - The second edition, corrected and enlarged. Microform in English - The fourth edition, corrected and improved. An abridgment of L. Murray's English grammar: With an appendix, containing an exemplification of the parts of speech. Designed for the use of the youngest class of learners. By Lindley Murray. English grammar: adapted to the different classes of learners. With an appendix, containing rules and observations for promoting perspicuity in speaking and writing. By L. Murray.